Work 80-hour weeks and you will succeed. When I read the title of Cliff Lerner’s book, Explosive Growth: A Few Things I Learned While Growing to 100 Million Users — and Losing $78 Million, I chuckled to myself. In an era where it seems like every business or marketing book is focused on success, here was an author using his abysmal failure to speak to his audience. 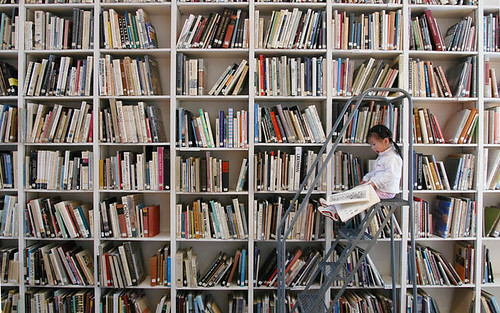 Quite honestly, I don’t read and review a lot of marketing books these days. They tend to say the same thing over and over. But when Jon Wuebben, author of not one but two books on content marketing, asked me to review his new book Future Marketing: Winning in the Prosumer Age, something told me to read it. Rather than covering the same tired digital marketing topics, Wuebben, a fan of futurist authors like Dr. Ray Kurzweil and Alvin Toffler, applies their theories about the future to marketing. It turns out, they all saw it coming. The technology. The social networks. The sharing of information. It’s fascinating to line up their predictions to marketing, even if they weren’t specifically aimed at marketing. The funny thing about books in the digital marketing space is that they become outdated nearly as soon as they’re published. It’s hard to write a current book, not knowing what technologies and tools are coming down the pipeline. But some books — for example, The Ultimate Guide to Content Marketing & Digital PR by Luke Nicholson, Charlie Marchant, and Tim Kitchen — provide long-lasting value by focusing on strategy and tactics rather than the latest and greatest trends in marketing. I was given a copy of this book in exchange for an honest review. It was right in my wheelhouse: full of actionable advice any small business owner can follow to stand out in a sea of competition. I tend to favor books that teach you how to do something rather than just talk about high-level concepts you can do nothing with. If you haven't checked out our sister PR site, How to Create a Press Release, I encourage you to check it out. We've got a ton of free tips and advice on writing and pitching press releases, as well as general public relations resources. I’ve read a lot of business books over the years, and to be honest, most sound the same. This is what you’re doing wrong. Do this for guaranteed success. And yet, these types of books leave me feeling hollow. 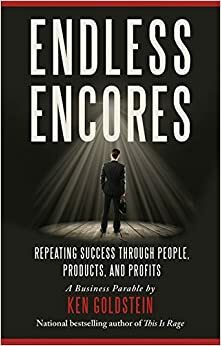 Recently I was sent a copy of Endless Encores: Repeating Success Through People, Products, and Profits, by Ken Goldstein. The book is really short (bonus) and touted itself as a business parable, so I was intrigued. The book is written like a story, which is rather unusual in the business genre. It’s the tale of a man, Paul, who meets an older, successful woman named Daphne in an airport bar. Sound like the start of a romance novel? It’s not. Instead, Daphne imparts her business acumen to him as they talk about both of their businesses as well as their personal lives. Despite Twitter having been around for a while, I see a lot of small business owners who still don’t understand how to use it to actually get new customers. It’s tricky, especially if you don’t dedicate enough time to the process or you don’t have a social media strategy in place. If you haven't yet started a business, ask yourself what's holding you back. Could be fear of failure, lack of money, or not having a real plan. Free isn’t always better, but when I do find a free resource that actually delivers value, I want to pass it along. Here are 10 fabulous and free ebooks on all manners of marketing that you should download right now. When it comes to laying out successful marketing objectives for a business, many of us flounder. This free eBook helps marketers and business owners capture a competitive advantage by learning to understand and identify their target consumers needs. The eBook also covers the entire strategic planning process and offers game plans for various scenarios. Get inspired with tons of fresh examples of how brands are using blogs, social media, videos, websites, magazines, and more to provide resources to their audiences. This free ebook also includes ample tips and tricks to implement in your own content marketing plan. [FREE EBOOK] Why Your Software Company Should Be Blogging Right Now! For software companies, content marketing tends to be very low on the list of priorities, behind the next software update, behind hiring another programmer, and behind sifting through those 204 emails in your inbox. I get it. But there's no excuse for you not having a business blog set up. As many of you know, I’ve written several books. The one I’ve renewed interest in marketing this year is DIY Press Releases: How to Become Your Own PR Consultant. I haven’t sold millions of copies yet, but I thought I’d share some of the strategies I’ve been working on. 1. Make Sure Your Amazon Description is Filled Out Thoroughly. After reading Guy Kawasaki’s APE: Author, Publisher, Entrepreneur: How to Publish a Book, I made sure everything on my book’s Amazon page was filled out. The description. The author bio. Everything. Then I read an ebook by my buddy, Jim Kukral: “How To Sell More Books with Awesome Amazon Descriptions,” (join Author Marketing Club to get that one free). I went back and tweaked what I had for my description based on his recommendations. Within hours, I moved up 4 places under the Public Relations category. Not bad for an hour’s work. So if you sell your book on Amazon (and even if you don’t), make sure the description is engaging to readers, gives them a hint of the benefits they’ll get from reading your book, and drags them into buying it. Make it irresistible.